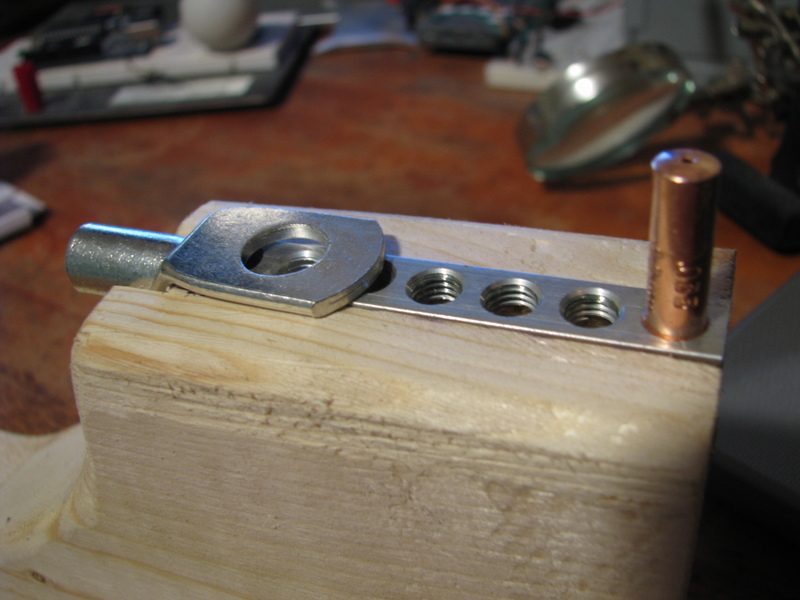 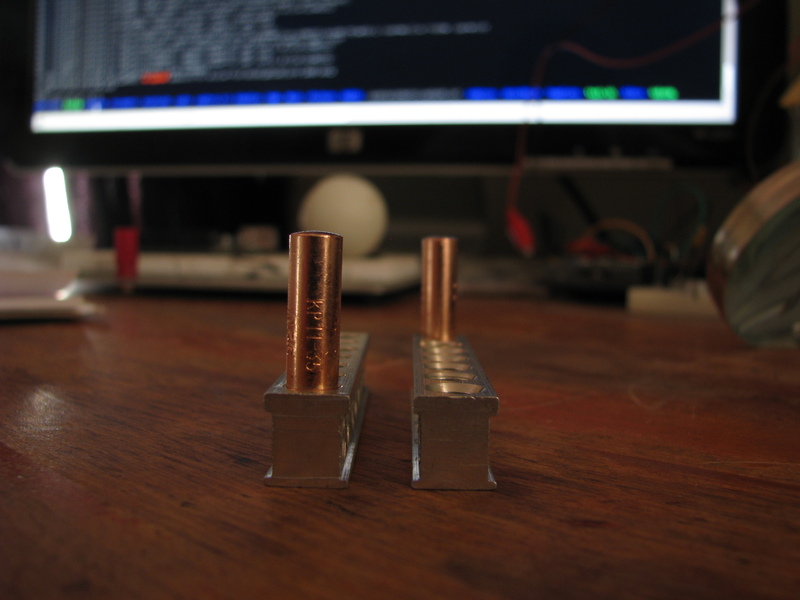 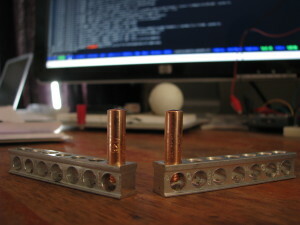 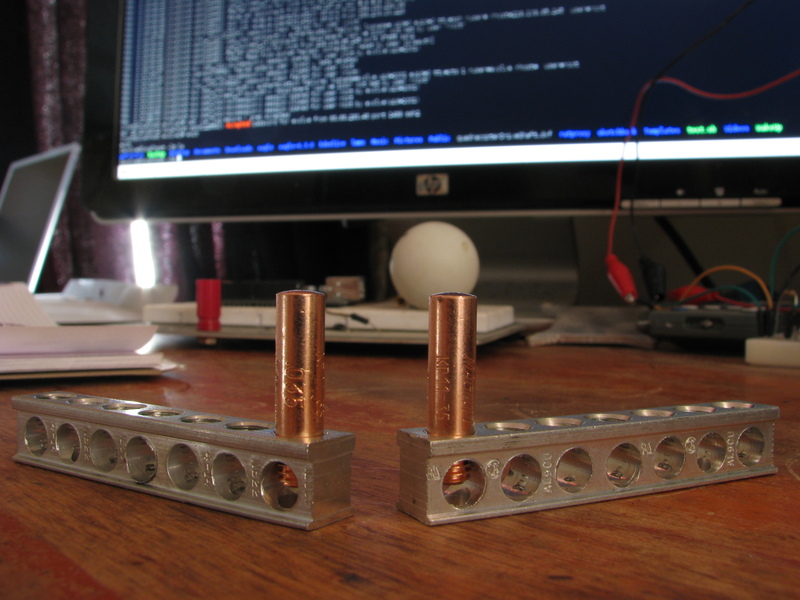 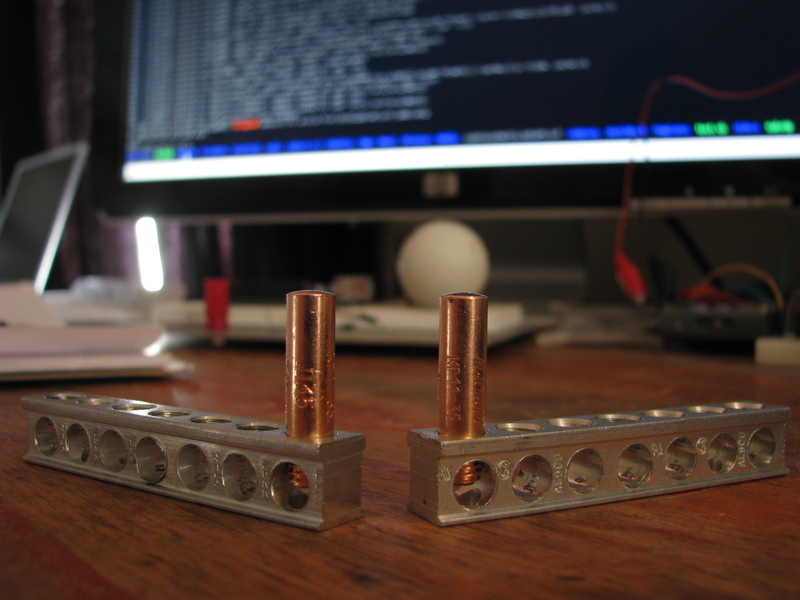 This is a quick write up on the spot welder that I built. 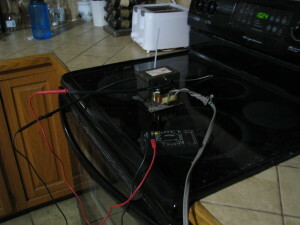 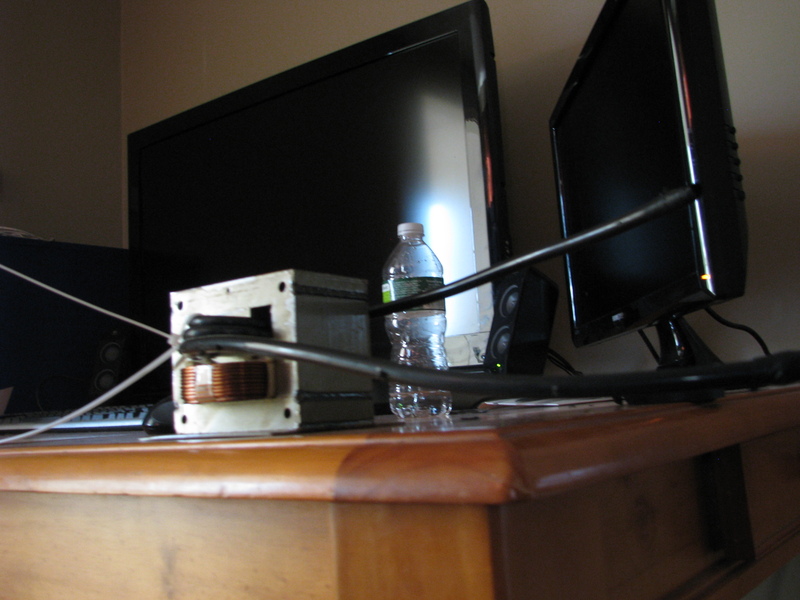 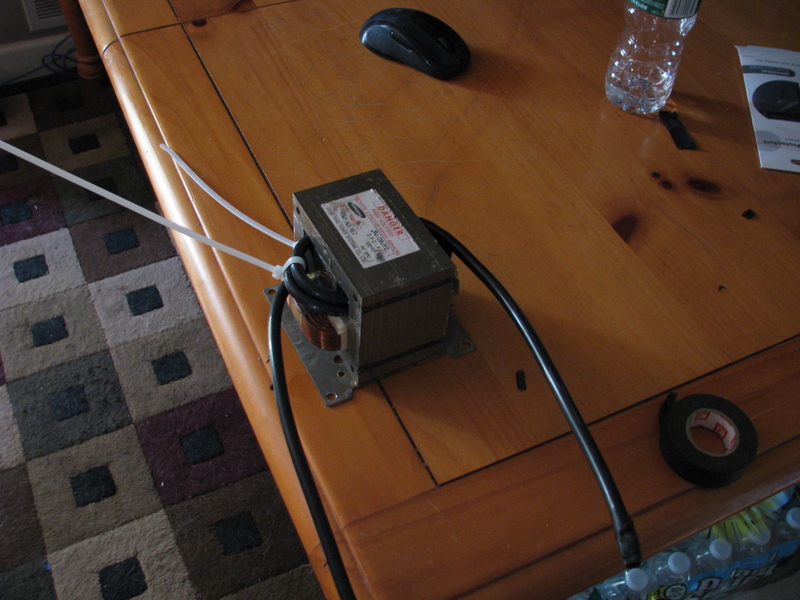 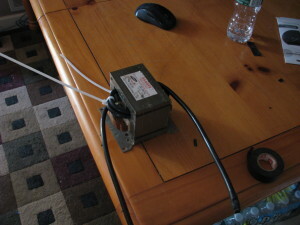 Like most DIY spot welders this uses 4AWG wire wrapped around a microwave transformer. 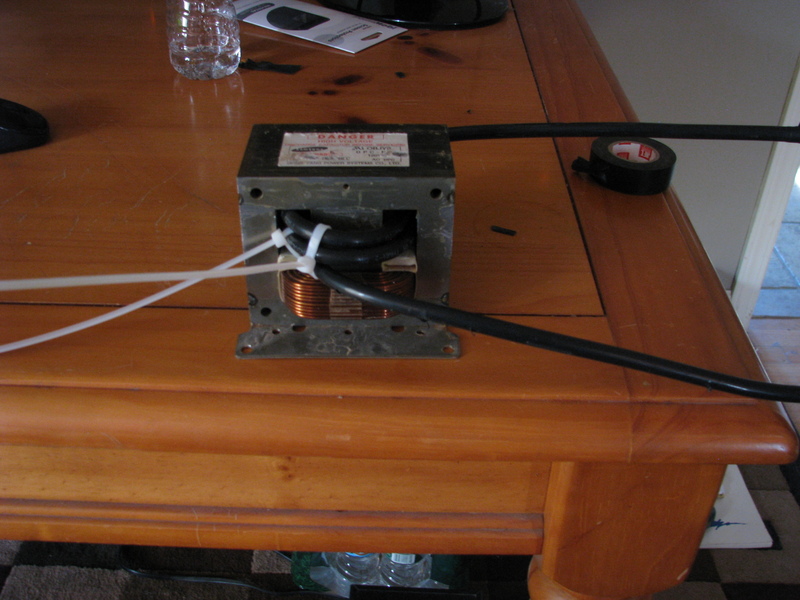 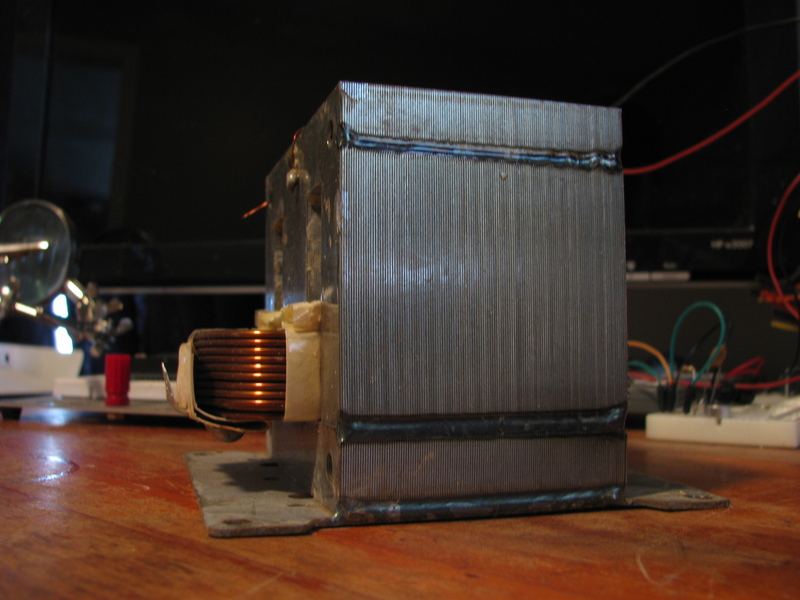 There are many tutorials on how to prepare the transformer to accept your new windings. 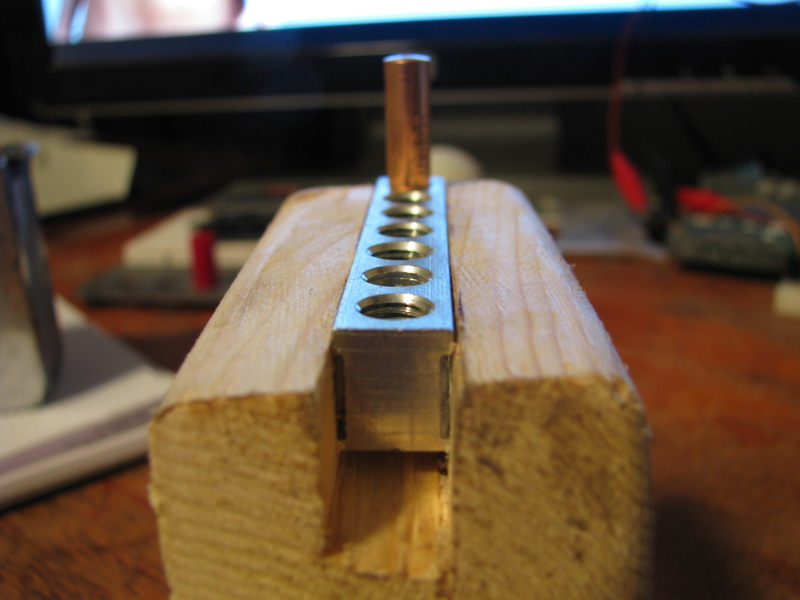 A basic outline would be to cut off one side of the secondary coil, push the remaining part of the coil out the other end, and file the edges of the opening to remove any burs. 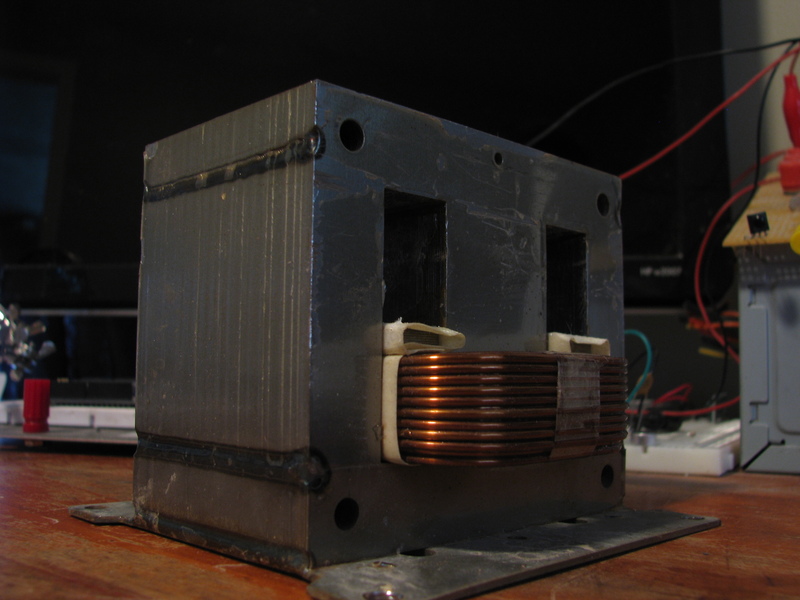 A good thing to note is DO NOT HIT THE PRIMARY COIL. 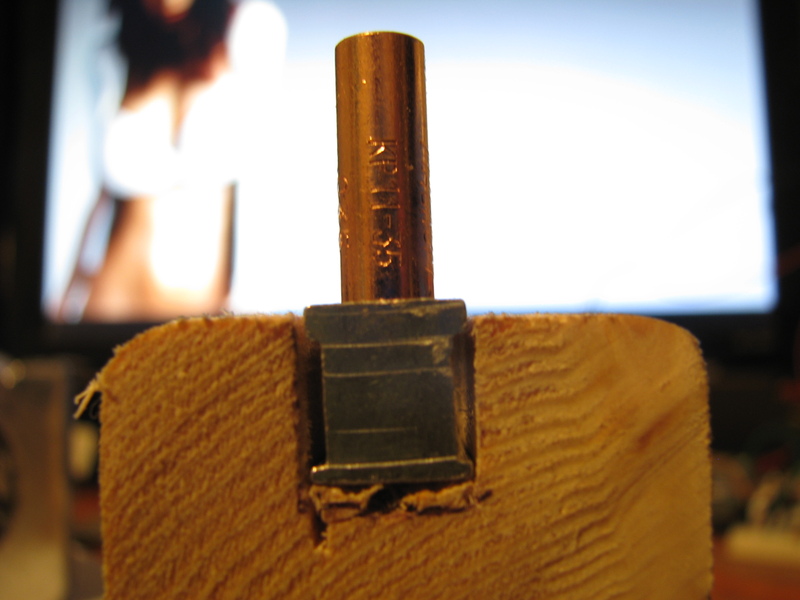 The wire is coated so cutting into it can short it out causing catastrophic failure. I wrapped another coil around the transformer after the picture below was taken. 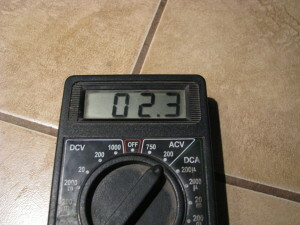 The welder currently operates at 2.8 Volts. 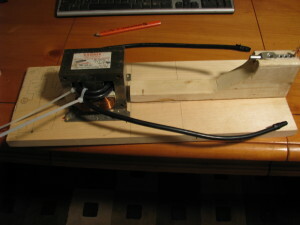 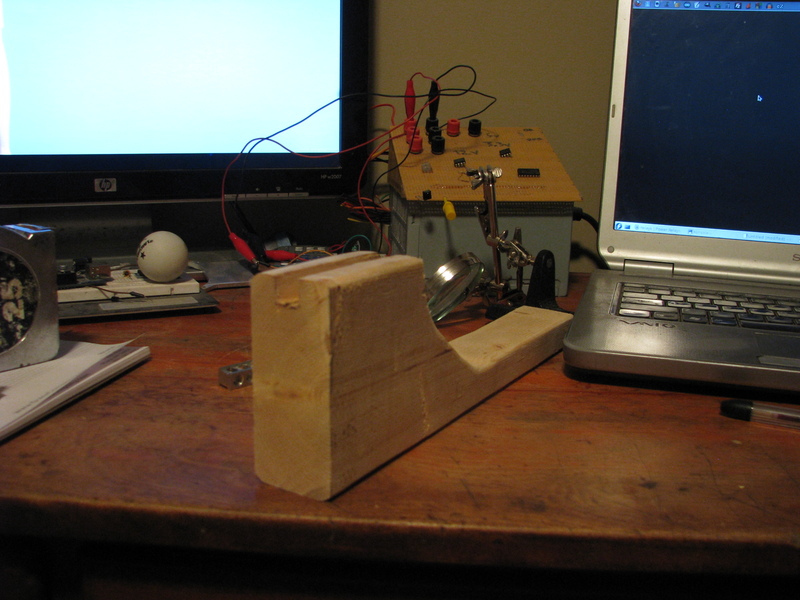 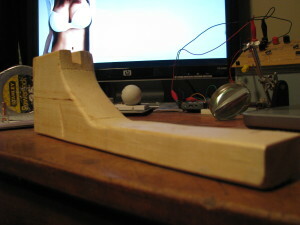 This welder was built out of wood, it is cheap, malleable, and for the most part non conductive. 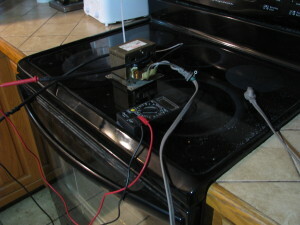 All the parts used were purchased at lowes for about $16 other than the microwave. 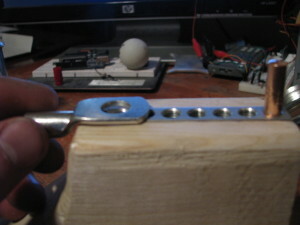 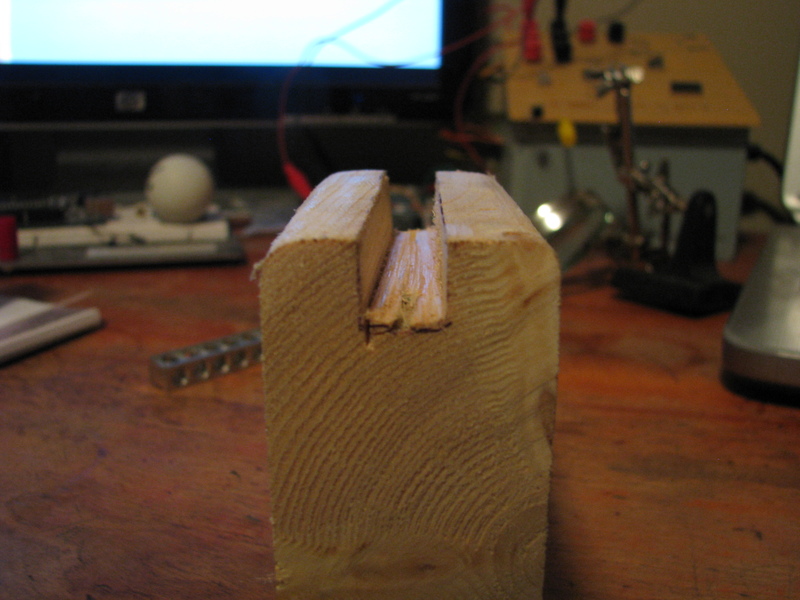 Rather than using hinges, two supports stand off the base to hold the arms where the electrodes will be. 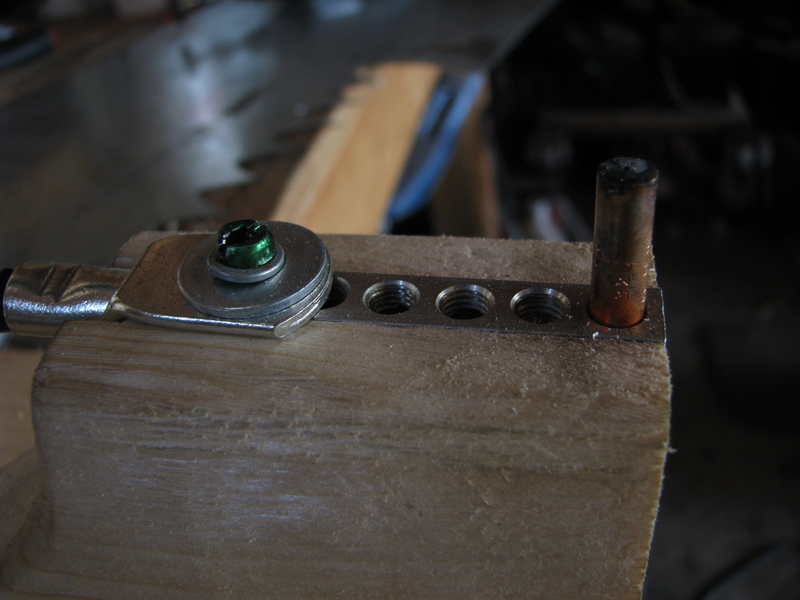 A spring and two eye bolts are used to attach the spring to the base and the upper dowel. The electrodes consist of small bus bars that are used in a panel box with a MIG welder tip as the actual contact point. 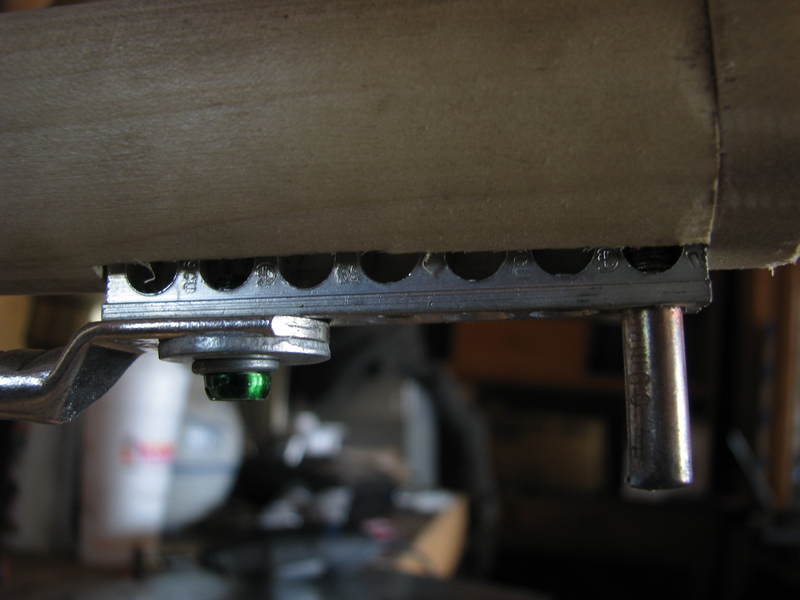 Surprisingly these tips thread right into the bus bars without any machining needed. A battery terminal connector is used to connect the 4AWG wire to the bus bars. 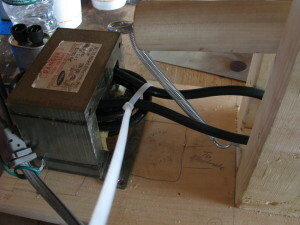 I didn’t have very heavy duty crimps so I ended up using a pair of bolt cutters to compress the fitting onto the wire. 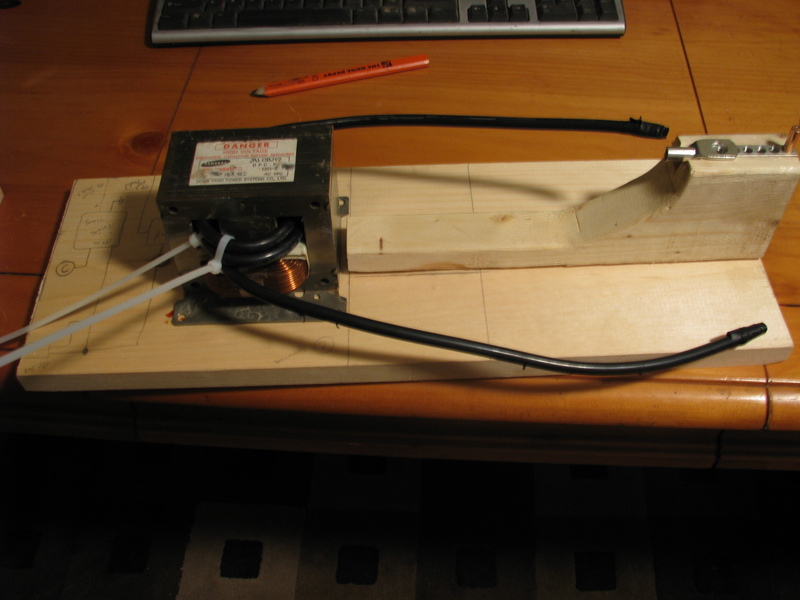 Although I don’t have this circuit in use, it should work good to control the welder by switching the power on the high side of the transformer. 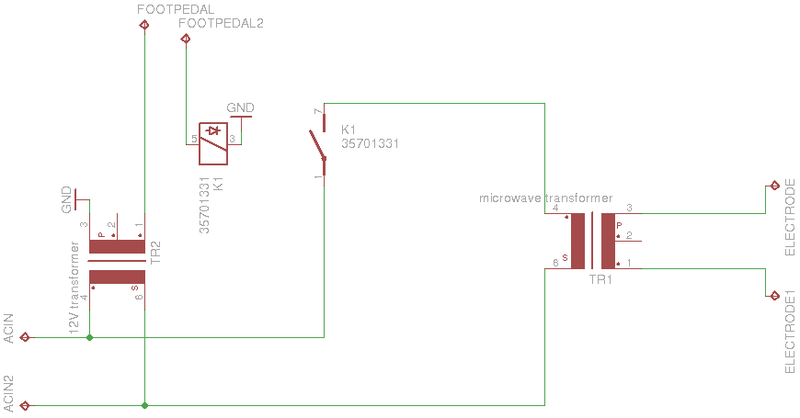 The foot pedal is from a sewing machine, or you can buy one for 13$ at Graingers (Part# 6GPD6). 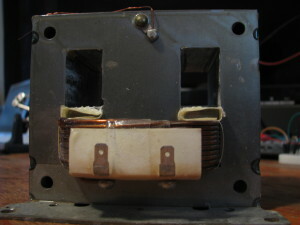 A 120VAC->24VAC will be used to lower the voltage for the switch and the coil side of the relay. This part can be taken from anywhere, maybe even the microwave that you cannibalize. The relay has to withstand 120V at the contacts, I plan on using an OMRON heavy duty SPST-NO relay which is also available at graingers (Part#1YCF2). 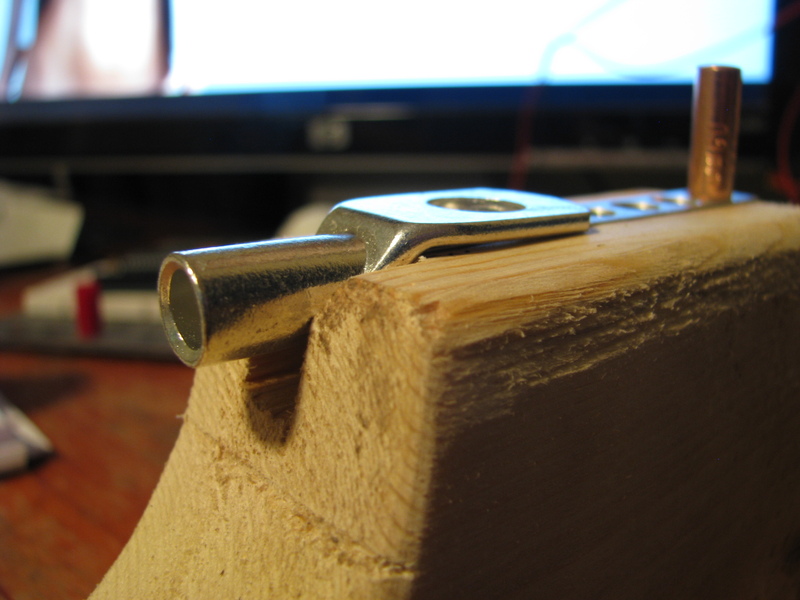 To make attaching the relay to the base easier you can also purchase the retaining clip(Part#1YAW9). 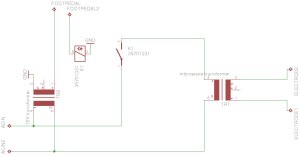 Below is a schematic for the control circuit. Note that without it the welder will be live at all times, and will weld once the contacts touch. With this circuit you can touch the contacts and make the weld only when the foot pedal is depressed.